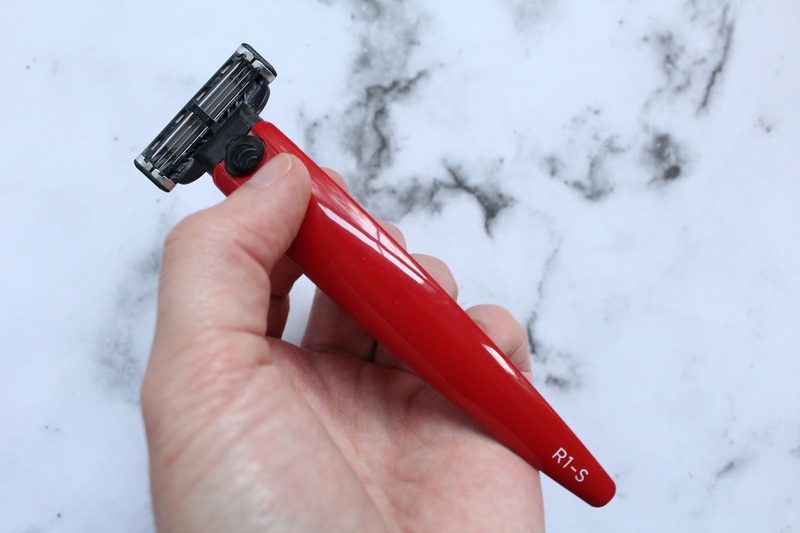 The first thing you'll notice about this razor is that it looks like it should be picked up. Much like if you had the choice of stepping into a Porche or a Ford KA, I know which one I'd prefer, and I'm quite sure I know which one you'd choose too. Design is everything, it's why you have an iPhone, the smart timepiece on your wrist, the device you're reading this on. It all started from you being drawn in visually. Bolin Webb razors do just that. For most men a razor is an item we all have, even if we don't shave daily. Based on the adoring curves of classic British sports cars, Bolin Webb have turned this everyday bathroom item into something I now want to display. But it's more than just how the razor looks. The ergonomic design means it fits like a glove. 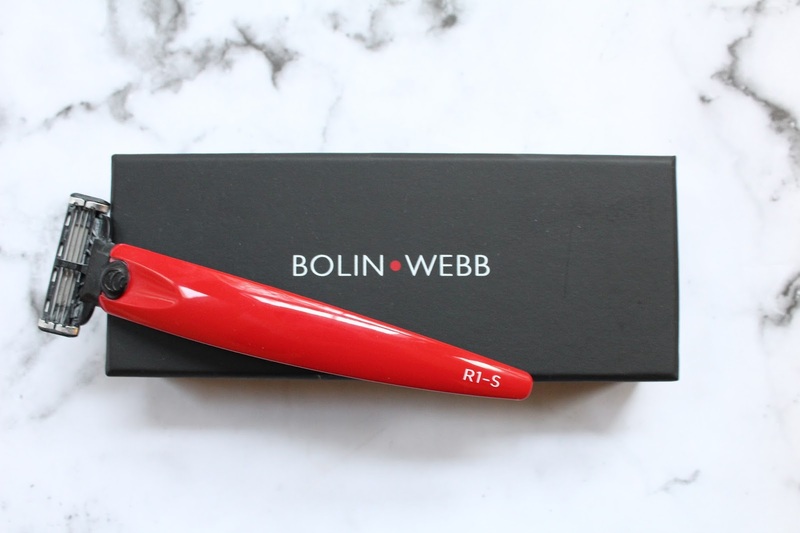 The Bolin Webb R1-S Monza Red* is the model I have been enjoying since the start of the year. Its handle curves around the four fingers on your hand, while your thumb seems to fit perfectly on top. It just feels absolutely right. The Monza has a nice weight to it too, which brings a solid feel and in my opinion, a better shave compared to a fly weight desposible razor. You won't see a bricklayer with a cheap trowel, you need a tool that will last. Bolin Webb handles come with a 2 year guarantee and are built to last. Not only did Bolin Webb win best new product at the NYnow 2015 awards, they have recently scooped the 'Best-of-the-Best' award at the Red Dot Design Awards. And it's a thumbs up from me. Bolin Webb offer a very impressive selection of razor handles to sit beautifully in your bathroom. The R1 collection has an assortement of mood warming colours too, including the R1-S in Signal Orange. The British brand based itself on the love of classic design, mixed in with some inspiration from some our our finest sports cars. All razor handles are compatible with Gillette blades which are included when you purchase your luxury razor. You can see the entire range on their website here, including the new Prestige Range. Bolin and Webb offer not only unique and bespoke design razors, but they include a range of accessories including face blam, shaving cream, and some razor stands.